Imagen this: you are outside Philadelphia and your car gets stuck. You look at the dashboard and fins out there is no full in the car. Suddenly a homeless man appears in front of the car. This can be good right?! Think again. This is exactly what happened to Kate McClure. 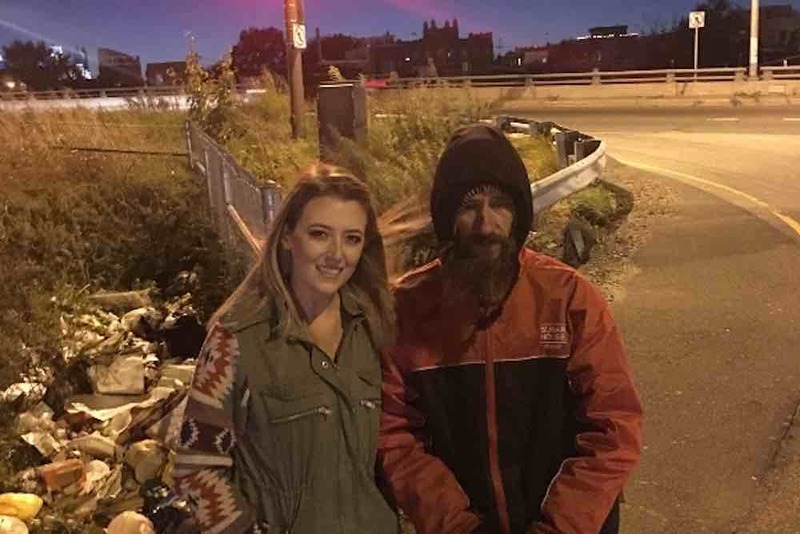 Her car ran out of full and the homeless man was Johnny, who is a homeless veteran of the U.S. Marine Corps. He asked her what is wrong and then instruct Kate to stay in the car with the doors locked (because it is dangerous outside…). Johnny went away and returned with a tank of full. Kate McClure later found out that he has used his last 20$ to buy the petrol. Kate McClure didn’t have the cash to pay him back so what did she do? she has been regularly stopping by his street corner so she can drop off warm clothing, water, money, and food. I find this story very inspirational because it shows how wrong our prejudices are. A homeless man gives his food money to help a stranger is a heartwarming story. I also find Kate McClure behavior fantastic. Many other would think that giving the homeless man 100$ would be enough but Kate made the extra effort to help Johnny improve his life. This is a perfect example of making the extra step, it is not enough to wear a Sleek Wristbands supporting the homeless cause, we must make the extra effort.